Whenever any player uses wine, this card can be played to damage that player one. This can also be used before using a snipe card to transform the damage into fire damage. The context in which Wine is used does not matter. If the Wine is used to boost an attack or if it is to save someone from the brink of death. In both instances the player is damaged. This can still be used against Wines that occur from powers, such as Cao Zhi or Dong Zhou. 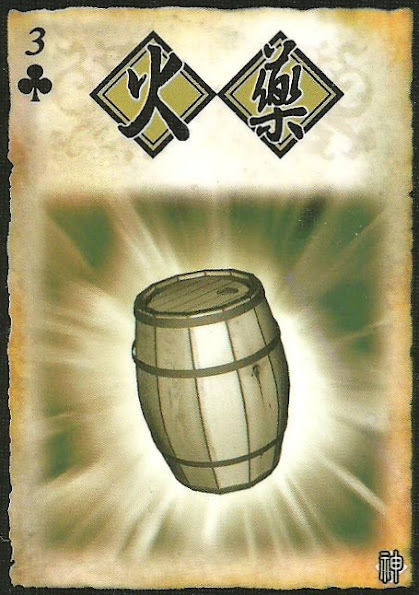 This card is used before a Snipe in the same way that a Wine is used before an attack.